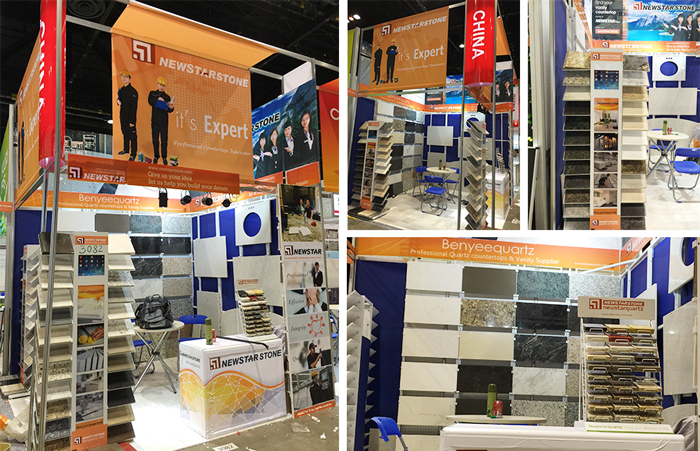 Newstar attended Coverings��16 the global tile and stone fair in McCormick Place, Chicago Illinois during April 18-21. In booth (3082). and know new friends. We attended Coverings since 2005.
compared with the others exhibitors. During 18-21th April, Newstar team show skilled, professional and enthusiastic to recommendation to the customer��s project. in our booth help us to do recommendation to our visitors. He trust Newstar and cooperated with Newstar over 10 years. some feedback from our old clients and visit their projects. Next Year, Coverings fair will be hold at Orlando again. Newstar will also attend 2017 Coverings in Orlando again. Welcome to visit us then. Trust us, Trust Newstar! You can get more experience from Newstar!